Summit Norling Resort & Spa, Gangtok, located at Rongey is an exquisite resort delivering the best of hospitality services in Gangtok. The hotel is known for its impeccable standards of service and luxury making it a haven for travelling guests. The resort offers solace from the noise of the city and takes you into a comfortable sense of body and mind with mesmerising views and professional service. Our resort in Gangtok is an ideal place to stay if you are looking for a peaceful abode in the northeast part of India. Our Chalets and Premium Rooms are ideal forguests looking for a quality stay in Gangtok. These rooms are decked with an array of modern facilities making it a full-fledged urban haven perched upon luscious hills. These rooms offer 24-hour room service, which our experienced staff is always happy to deliver. Experience unparalleled comfort at our resort in Gangtok. Very friendly and good communication skills. Had an excellent time, well looked after by very gracious and attentive staff. Thank you very much . Summit Resort n Spa at Norling is amazing . First thing one notices about a good hotel is it’s staff. We checked into a chalet and it was really vry nice. We stayed for 3 nights . Everyday We took breakfast n dinner in the hotel only. Food was really nice n special mention fr d staff. Deepika , Smita , Marina n Namrata all were very helpful n courteous . Whatever time of day or night they were always available. To make my 25th anniversary memorable the Chef went out of d way n made a chocolate walnut brownie with ice cream . Summit Norling is a lovely place to stay for ur holidays. It was very nice stay at Hotel Summit Norling Resort & Spa, Gangtok. Hotel staff was very cooperative & helpful. Specially Namarata, Prangan, Sudhir & Deepika From office staff very careful & supportive. Food quality was awesome.Stayin hotel gives feel like lived lap in nature. Nice place to visit. excellent location and highly professional and cooperative staff. I thank you Namrata, Sudhir from Front Desk, Rubika from House Keeping and Service staff for making our stay memorable. 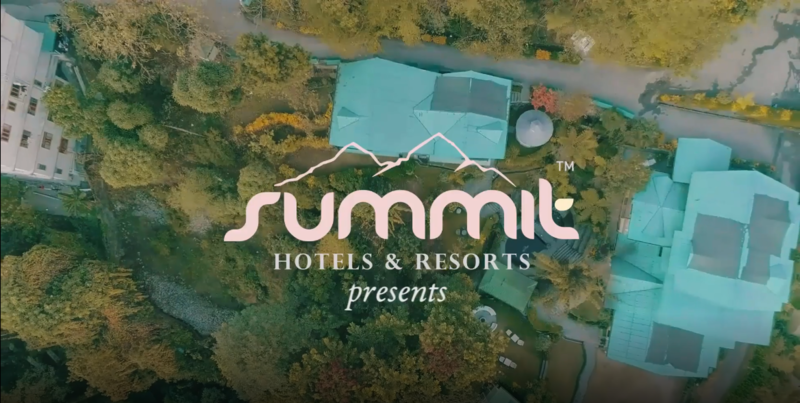 We were very choosy while booking our hotel for Gangtok... And finally we are glad to have selected Summit Norling for our stay in Gangtok.An excellent resort within the lap of nature. Helpful staff, special mention of Namrata and Deepika. Delicious food made by chef Satyam... Overall, great experience. Would love to visit Gangtok again and will definitely stay in Summit Norling only. Stayed at Summit Norling hotel a 4 days stay .Courteous and very helpful staff .Good ambience at the restaurant. Food quality, cleanliness at the hotel, room service were excellent.. Stay worth the Money . Travellers, Stayed in this place during January 2018 during the winter season. Even though we arrived late night to this resort , we were accorded a traditional welcome by the front office staff(Sorry,I'm unable to recollect their names). The room we had booked was on the top floor and provided a good view of the surrounding . The rooms are really big and spacious and also it has a balcony for sit out which opens to a wonderful view . They provide room service and are always happy to serve you with a smile. 24X7 hot water is available , the washroom has a jacuzzi.The best part is that they offer electric blanket whih keeps you warm .As a complimentary they had also provided the room heater, wich was very useful. Excellent room service by the staff. They even obliged to pack food when we said we wanted to leave early morning for sight seeing. The location of the resort is excellent and peaceful and the surrounding area is calm,serene. The resort is equipped with play area for kids , gym and restaraunt . Buffet is available. The chef is wonderful and will be glad to accomodate your request for any specific food item.The dishes are good .The staff is courteous and always ready to walk an extra mile to help and make your stay comfortable.I place my thanks on record for all the staff here. Do stay in this place if you are visiting Gangtok. The staff was really polite and positive. The facilities provided like complimentary coffee/tea and toiletries and everything was very good. The buffet meals were tasty specially the non vegetarian dishes. You must try staying there to feel the peace.